Three new NES Games are coming to Nintendo Switch Online service this December. The three new NES games to be added this month are Adventures of Lolo, Wario Woods, and Ninja Gaiden and more will be added next year. Adventures of Lolo is a game featuring a compilation of puzzles from the Japanese Eggerland series of video games. You follow the journey of Lolo off to rescue his captured love Lala from the evil King Egger by solving environmental puzzles and defeating enemies. It was originally released in 1989 in North America and received an overall positive reception from both fans and critics. Wario Woods is a falling block puzzle game where players need to match bombs of the same color to clear monsters. Where this differs from a lot of other similar puzzle games like Dr. Mario is this time you play as Toad who can interact with certain pieces rather than moving blocks directly. Its original release came in 1994 to fairly mixed reviews. 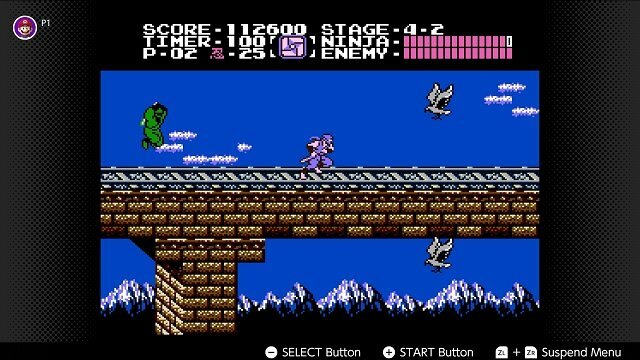 The final in the three new NES games is the classic action platformer Ninja Gaiden. It released on the NES in the United States in 1989 and followed the story of Ryu Hayabusa. His journey for avenging his father’s death takes him from his traditional ninja family home in Japan through side-scrolling adventures in America. You can also see a full list of games in the NES collection here. As with all games in the collection, these three new NES games can be played using your regular Joy-Con set up or using the Nintendo Entertainment System controllers. These official old school controllers can purchased through the official Nintendo store but only by Nintendo Switch Online members. If you don’t have a Nintendo Switch Online membership you can purchase a single month for $3.99, three months for $7.99, or 12 months for $19.99. If you’ve got more than one Switch in your household then you’re better off opting for a family 12-month membership which supports up to eight accounts at $34.99. This gives you access to classic titles like these three new NES games, online play, and the often life-saving cloud saves. You can also access a seven-day free trial if you’re not too sure if this service is for you yet.